Where we have strived to redefine high standards and excellence for over 12 years. From the moment you enter the salon, you are welcomed in a warm and relaxing atmosphere. Come visit us to experience the uniqueness of a blissful place known as Cachéc Hair Salon. From cuts to color services, Cachéc is a full-service unisex hair salon offering a variety of services to give you a beautiful new look. For special occasions or just a special night out, we can create the look you want. In addition to our services, we offer professional hair care products and cosmetics for you to create that same look at home! Because we are a full service salon, we are able to offer a number of services performed only by skilled and highly trained professionals. 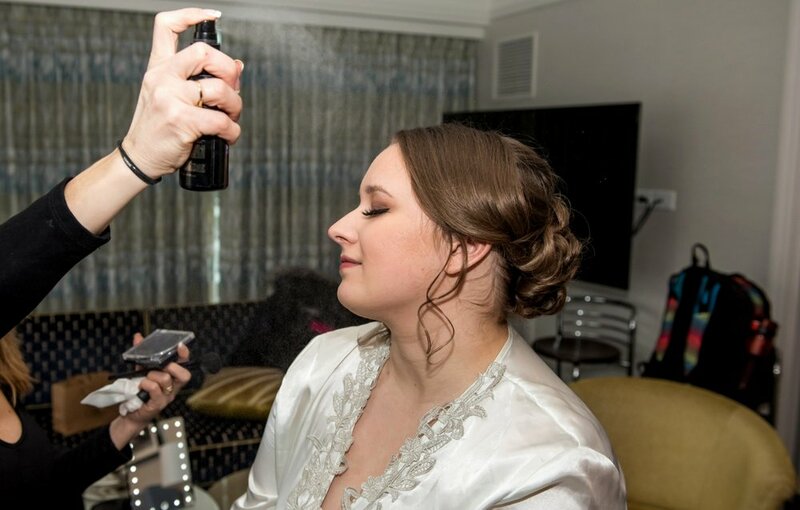 We will ensure you and your wedding party look and feel beautiful. Book a complementary bridal consultation here. The Kerasilk Brand’s exclusive technology with Keratin, Color-Caring Silk, and powerful ingredients will give you the beauty of silk-like hair. Four custom regimens deliver the most luxurious experience at home or in our salon. With the Kerasilk care line by Goldwell, we have products for every hair type.